IMC pioneered the rebirth of the Canadian CMBS industry and remains the leading player in this market. IMC re-opened the Canadian CMBS market with its first transaction in 2011 - the first CMBS deal since 2007 - and has since brought 6 additional transactions to the market using its own IMC-sponsored issuer. 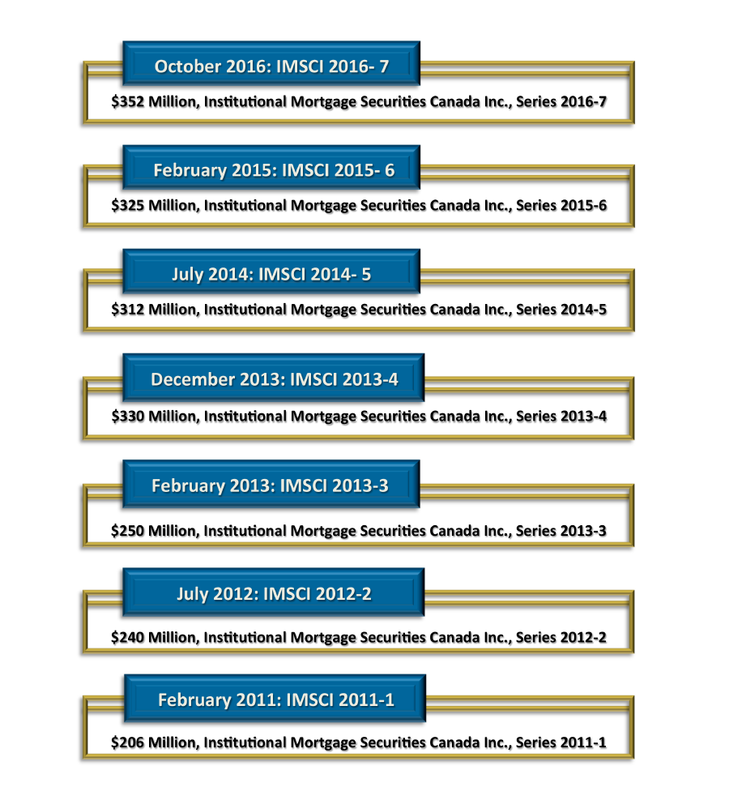 Since 2011, IMC has successfully brought to market 7 Commercial Mortgage-Backed Securitization (“CMBS”) deals backed by Canadian properties. These transactions were distributed to Canadian and US Fixed Income investors and raised over $2.0 billion in aggregate.